We still have dates available for Christmas parties with a minimum of 50 guests. 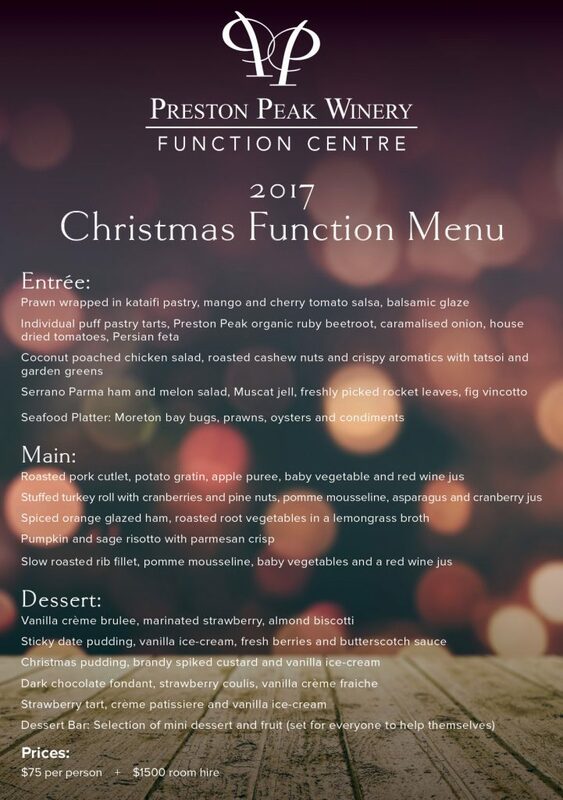 Enjoy decadent catering by Toowoomba’s finest team, exclusive Preston Peak wines and our stunning venue with your friends and family. Contact Rick today on 0418 865 336 to book your party!